In developing economies and underbanked regions of the world, there is typically a lack of access to financial services. It is expensive for a bank to set up brick and mortar locations in developing and rural regions. Fortunately, the internet made it possible to accomplish tasks previously restricted to physical branches, as with banks. Mobile phones make it possible for the underbanked to receive financial services regardless of their location. Now there is a growing list of applications providing these individuals with the same services those who have access to traditional banks enjoy: a place to store savings; an account to have money wired to; a place to apply for loans. Through companies like Atlas, a payment platform that allows anyone with a mobile phone to access financial services, banking is at the tip of everyone’s fingers. Imagine if the financial platforms for the underbanked were paired with innovative technologies like blockchain, allowing banking to occur in a more secure, efficient, and timely manner. Incredibly, blockchain might be able to help underbanked areas as much as in advanced economies. 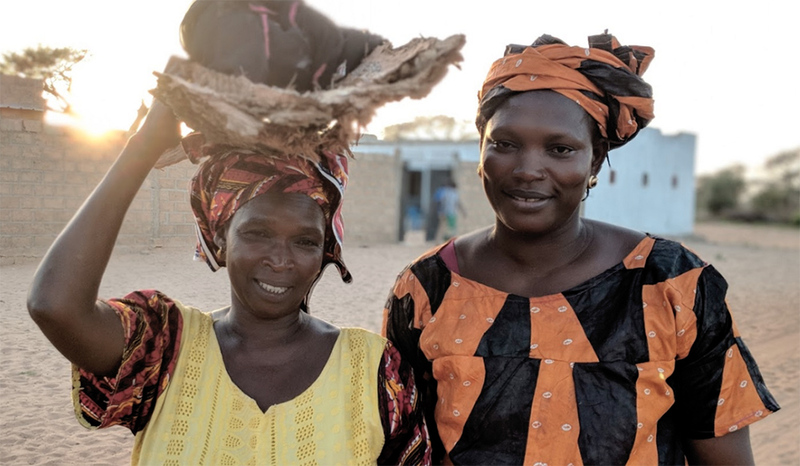 On a recent trip to Senegal, Access, a community-driven financial services platform, met up with Aida, one of four leaders of a 300-person women’s economic co-op that keeps all transactions that ever took place in metal boxes. Each of the three boxes features four different locks. The four leaders each have one key; all four keys are required to open a box. The women’s co-op has effectively created a physical blockchain with multi-sig. This record-keeping technique mirrors a blockchain; now imagine if they digitized their operation and actually used a blockchain. Every transaction would automatically be recorded to the ledger, several times more efficient than physical storage. Though records are secure inside these boxes, if the boxes were stolen the co-op’s entire transaction history would vanish. A natural disaster would do likewise. Blockchain would address these potential disasters. Access has teamed up with Atlas to explore potential blockchain technologies for such areas. Access hopes this new partnership will make cryptocurrency available and optimize financial services for these communities. Then, perhaps, more individuals will have their voices heard when it comes to making community proposals and voting; with the ACX token, communities like this will be able to leverage cryptographically secured, decentralized, financial services. It is essential that every region of the world has access to modern financial tools and services in order to compete with advanced economies. To learn more about Atlas and Access, check out the Access Whitepaper and Atlas website.